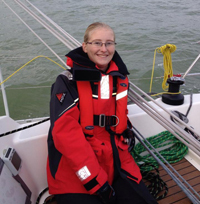 The John Merricks Sailing Trust supported me in moving from my junior boat to my youth boat, helping to fund my progress in youth sailing. The John Merricks Sailing Trust has been in operation for fourteen years and has helped many young sailors and youth sailing organisations to achieve their goals. The charitable trust was set up by those closest to John to do some good in his name and further the memory of such a remarkable person. The superb Reading Climbing Centre has sponsored me for a number of years, supporting me with courses in climbing and the use of their facilities to help me work on improving my core stability. The Reading Centre is the most recent development by John Dunne, the man behind Manchester and Harrogate Climbing Centres. 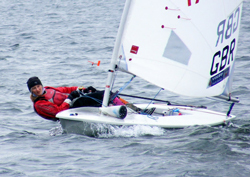 Ronstan have also supported me in my Topper and Laser with access to its complete range of hardware and sailing gear. Internationally, Ronstan is one of the top three sailboat hardware brands in the world, instantly recognised and respected in 45 countries. Sponsoring a sailor gives an organisation a huge amount of publicity. In addition to this website, I am able to display sponsors names and logos on my boat and/or sail and in other ways so that they are visible to the hundreds of sailors, families and the general public at large events. Also my sponsors logos appear in publicity photos and I try and mention the support I receive whenever I have the opportunity. If you would like to sponsor me in any way, either through direct funds or with equipment, clothing or other services, then please get in touch.